After my post on our weekend getaway to Avoca Beach I have had so many inquiries about the gorgeous Sombrilla shade tent. Lucky for us, the lovely folks at Hollie & Harrie have offered a $20 discount to Bondville readers on all Sombrilla sales in the next 7 days. Simply enter the code Bondville at checkout in the online store. Code expires 20th November, 2014. 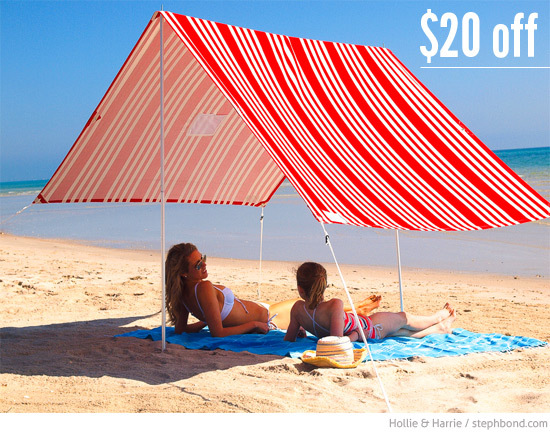 The shade tent would make a fantastic Christmas gift - get in quick!